UMF kicked off Friday, March 24, at the scenic Bayfront Park in Downtown Miami to a sold-out crowd who enjoyed more than 30 electronic dance music acts in different stages. Let's go through the best moments of the day. How was the weather like for the first day at Ultra Miami 2017? It didn’t matter because when you are in the biggest stage for the electronic music, the vibe overshadows the slightest drop of rain. And it is Miami – the hottest city in Florida! The first Ultra 2017 highlight mention goes to the host of ULTRA Music Festival live stream on YouTube, Andrea Helfrich. A journalist who loves all things beauty, fashion, music and travel, Helfrich did an excellent job and on camera, she reminded us she’s got the coolest job in the world. During the first day at Ultra Miami this year, some of the top names in the electronic music industry performing during the day stopped by her Ultra TV Studio, including Armin Van Buuren and Martin Garrix. Andrea’s best interview of the night was with Martin Garrix, a DJ who has much to appreciate to the EDM family that year after year comes to Miami, a stage that has seen him grow up and become so successful in his career. Don Diablo took the stage a few minutes after 4PM. The act by this Dutch DJ, record producer, musician, singer and songwriter was very good and he was gracious enough to denote the core of an electronic music concert – we’re all family! He had even twitted that his mom had called in two hours before his live set to wish him good luck at Ultra and in response, he snapped back a few pics from the audience during his act. Martin Garrix, not even 21, but Oh Boy, isn’t he one of the greatest ever? No wonder the legendary Tiësto said last year during his gig at Ultra that Martin Garrix is “the best DJ the world now knows.” During his interview with Andrea Helfrich he revealed his much acclaimed success – Animal – was sitting in his computer for a couple of years before his boom in EDM. Can you believe that? His act in the first day at Ultra Miami 2017 was the best we have seen in years. Garrix had a killer set and he also debuted a few new tracks. His performance graced Ultra Miami to the standard of what he actually is, a highly diverse electronic music talent and producer. 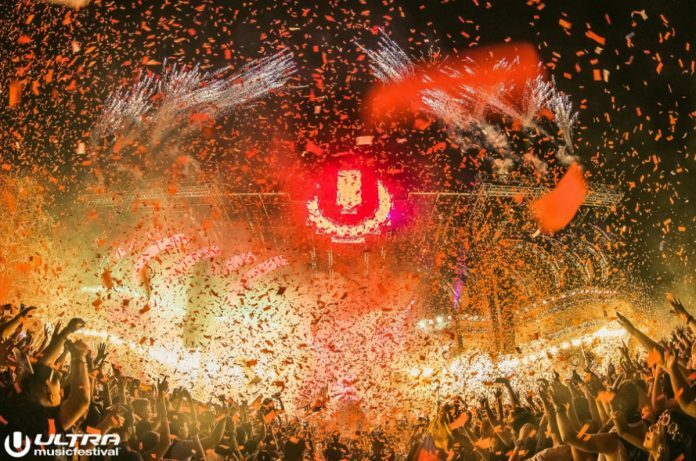 How do you close Ultra Miami first night? It is Miami! Fun & high-energy everywhere. Nightclubs, bars, lounges all around. One of the world’s top party destinations. The expectations are always high. The answer is no. Major Lazer took care of that around 11pm at the Ultra MainStage set for the final act of the event’s first day. Major Lazer is an electronic music trio composed of record producer Diplo, Jillionaire, and Walshy Fire. Everyone of them by himself is a celebrated personality in the EDM industry and tonight, they set Miami on fire with an amazing first day finale. Last March, Diplo’s Major Lazer became the first U.S. act to play in Havana since 1962. A year after, Major Lazer also mixed some of the best Latin music hits during their act, giving Ultra Miami the justification of being encored in Florida’s most popular and Latin-influenced city. Diplo, Jillionaire, and Walshy Fire simply made the night great. They simply were a crowd control act. A major performance. A unique experience amongst Ultra’s all time best! What’s in store for us at Ultra Miami in its second day? Hoping for the best, and for sure it will be because there are tons of large-scale performances scheduled from noon until the night is over that include the best of the best in EDM. Hard to choose what stage to be at, right? Highlights of First Day at Ultra Miami 2017: Find here the Best Moments of Ultra Miami 2017 First Day, Interviews, Photos, and Videos of the Best Acts.